Lernsys Homeschooling Academic Video Courses. 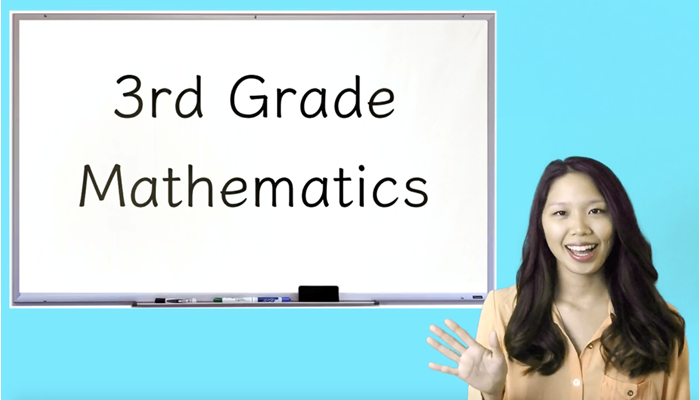 3rd Grade Math Video Course With Worksheets, Answer Keys, Tests and More! This video is an introduction to the 3rd grade curriculum. In this lesson, students will skip count by 1's, 2's, 5's, and 10's, count base 10 blocks, sort 2-digit numbers from low to high and high to lower, and sort even and odd numbers. 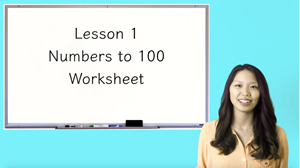 This video contains the explanations to the Lesson 1 Numbers to 100 Worksheet. 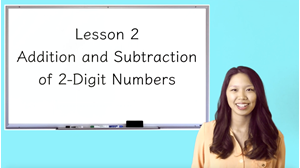 In this video, students will add and subtract 2-digit numbers with and without regrouping. 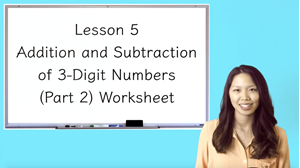 This video contains the explanations to the Lesson 2 Addition and Subtraction of 2-Digit Numbers Worksheet. 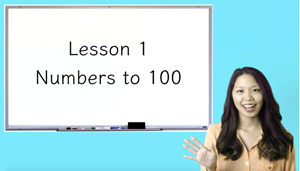 In this lesson, students will skip count to 1000, arrange digits to make the smallest or largest possible number, sort 3-digit numbers from low to high and from high to low, and identify the even or odd number that comes before or after. 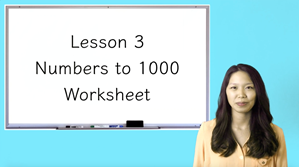 This video contains the explanations to the Lesson 3 Numbers to 1000 Worksheet. 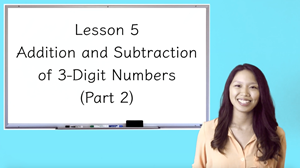 In this lesson, students will add and subtract 3-digit numbers with regrouping twice. 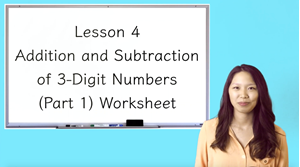 This video contains the explanations to the Lesson 4 Addition and Subtraction of 3-Digit Numbers (Part 1) Worksheet. 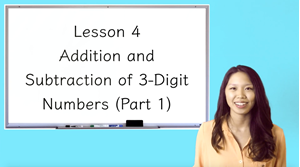 In this lesson, students will solve word problems using 3-digit addition and subtraction. 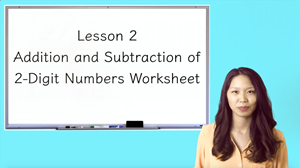 This video contains the explanations to the Lesson 5 Addition and Subtraction of 3-Digit Numbers (Part 2) Worksheet. In this video, students will use a ruler to measure lengths in whole, half, quarter, eighth and sixteenth inches and convert between inch, feet, and yards. 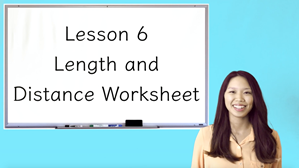 This video contains the explanations to the Lesson 6 Length and Distance (Part 1) Worksheet. In this lesson, students will convert metric to metric lengths and identify the appropriate unit of measurement. 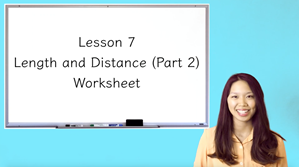 This video contains the explanations to the Lesson 7 Length and Distance (Part 2) Worksheet. In this lesson, students will calculate the perimeter and area of a rectangular figure. 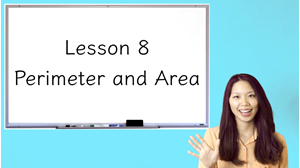 This video contains the explanations to the Lesson 8 Perimeter and Area Worksheet. In this lesson, students will differentiate between analog and digital clocks, tell time by skip counting and multiplying, and solve word problems to calculate elapsed time. 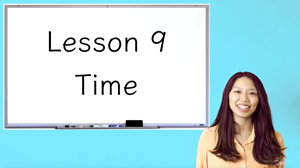 This video contains the explanations to the Lesson 9 Time Worksheet. In this lesson, students will identify the values of American coins and bills and add American currency. 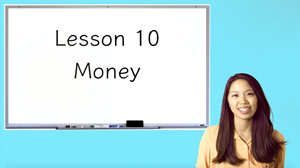 This video contains the explanations to the Lesson 10 Money Worksheet. In this lesson, students will solve addition and subtraction word problems with money. 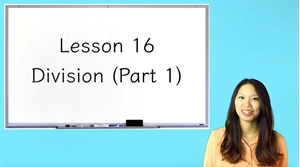 This video contains the explanations to the Lesson 11 Addition and Subtraction with Money Worksheet. In this lesson, students will convert metric to metric liquid volume, convert imperial liquid volume, and identify the appropriate unit of measurement. 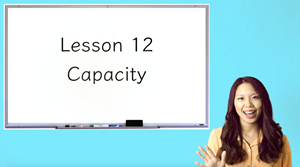 This video contains the explanations to the Lesson 12 Capacity Worksheet. In this video, students will convert metric to metric mass and identify the appropriate unit of measurement. This video contains the explanations to the Lesson 13 Mass Worksheet. In this lesson, students will write multiplication number sentences and apply the Commutative Property, Associative Property and Distributive Property of Multiplication. This video contains the explanations to the Lesson 14 Multiplication (Part 1) Worksheet. 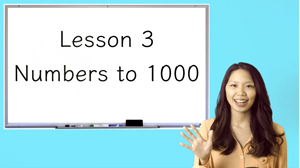 In this lesson, students will multiply a 2 digit number and a 1 digit number, as well as, multiply a 3 digit number and a 1 digit number. This video contains the explanations to the Lesson 15 Multiplication (Part 2) Worksheet. Please use the attached PDF for your exam, as there are pictures associated with some questions. The answer key can be found in your Parent Resources. The video explanations are in a separate video. This video contains the explanations to the Midpoint Assessment. In this lesson, students will write division number sentences and write the related multiplication number sentence. This video contains the explanations to the Lesson 16 Division (Part 1) Worksheet. 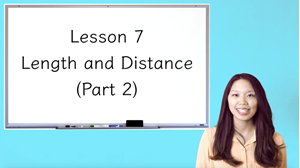 In this lesson, students will solve division problems with remainders and solve long division problems using a mnemonic. This video contains the explanations to the Lesson 17 Division (Part 2) Worksheet. In this lesson, students will solve multiplication and division word problems. This video contains the explanations to the Lesson 18 Multiplication and Division Worksheet. In this lesson, students will divide a whole into unit fractions, compare fractions and identify the bigger fraction, and write whole fractions and improper fractions. 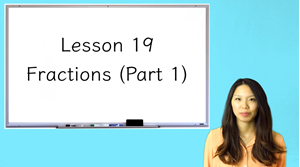 This video contains the explanations to the Lesson 19 Fractions (Part 1) Worksheet. In this lesson, students will identify the numerator and denominator of a fraction, label fractions on a number line, find equivalent fractions, compare fractions using the >, < or = symbol, and add similar fractions and mixed numbers. 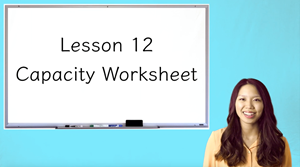 This video contains the explanations to the Lesson 20 Fractions (Part 2) Worksheet. T(I): a trapezoid is a quadrilateral with at least one pair of parallel sides. These different meanings result in different classifications at the analytic level. According to T(E), a parallelogram is not a trapezoid; according to T(I), a parallelogram is a trapezoid. 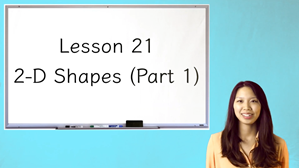 This video contains the explanations to the Lesson 21 2-D Shapes (Part 1) Worksheet. In this video, students will find the perimeter of polygons and solve for the length of the missing side(s). 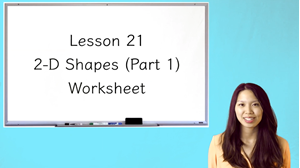 This video contains the explanations to the Lesson 22 2-D Shapes (Part 2) Worksheet. In this lesson, students will identify different 3-dimensional shapes, match the 2-D shape with the corresponding 3-D shape and find 3-D shapes in the real world. This video contains the explanations to the Lesson 23 3-D Shapes (Part 1) Worksheet. In this lesson, students will identify the faces of a 3-D shape, identify the edges on a 3-D shape, and identify the vertices on a 3-D shape. 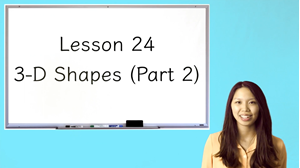 This video contains the explanations to the Lesson 24 3-D Shapes (Part 2) Worksheet. In this lesson, students will define the 3 transformations and translate, rotate, and reflect an image. This video contains the explanations to the Lesson 25 Transformations Worksheet. In this lesson, students will identify the pattern in a number series and find the missing output in a number pattern. 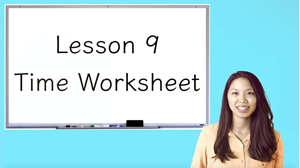 This video contains the explanations to the Lesson 26 Patterns Worksheet. In this lesson, students will recite the mnemonic "My Dear Aunt Sally" and solve problems with a combination of operations in the appropriate order. 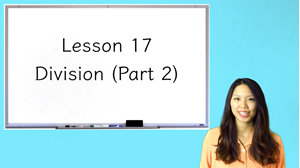 This video contains the explanations to the Lesson 27 Order of Operations Worksheet. In this lesson, students will interpret data in a tally chart and interpret data in a pictograph. This video contains the explanations to the Lesson 28 Tally Charts and Pictographs Worksheet. In this video, students will interpret data in a bar graph and interpret data in a line plot. This video contains the explanations to the Lesson 29 Bar Graphs and Line Plots Worksheet. In this lesson, students will calculate the probability of an event. This video contains the explanations to the Yearly Assessment. Welcome to my 3rd grade classroom! This course has been designed to closely mimic the Common Core curriculum, but also covers additional topics that all 3rd graders need to know. After Lesson 15, there is a Midpoint Assessment that test the skills the students have accumulated thus far. 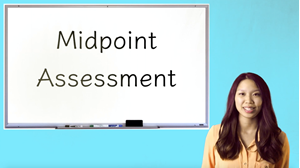 The Midpoint Assessment Explanation Video also contains the corresponding lesson topic for each question. If you need to review a question, the topic will be easy to identify and find. After Lesson 30, there is a Yearly Assessment that combines all the skills that the students have acquired from the entire year. We begin the course with a basic review to ensure a strong foundation. These skills include counting to 1000, addition and subtraction of 3 digit numbers, as well as reading a ruler. As the course progresses, students begin to work with 2 and 3-dimensional shapes, calculate perimeter and area, fractions, as well as multiplication and long division. By the end of the course, students will have been exposed to numerous word problems that test their command and understanding of arithmetic operations. This course will help prepare you for the 4th grade! Students will skip count by 1's, 2's, 5's, and 10's, count base 10 blocks, sort 2-digit numbers from low to high and high to lower, and sort even and odd numbers. Students will add and subtract 2-digit numbers with and without regrouping. Students will skip count to 1000, arrange digits to make the smallest or largest possible number, sort 3-digit numbers from low to high and from high to low, and identify the even or odd number that comes before or after. Students will add and subtract 3-digit numbers with regrouping twice. Students will solve word problems using 3-digit addition and subtraction. Students will use a ruler to measure lengths in whole, half, quarter, eighth and sixteenth inches and convert between inch, feet, and yards. Students will convert metric to metric lengths and identify the appropriate unit of measurement. Students will calculate the perimeter and area of a rectangular figure. Students will differentiate between analog and digital clocks, tell time by skip counting and multiplying, and solve word problems to calculate elapsed time. Students will identify the values of American coins and bills and add American currency. Students will solve addition and subtraction word problems with money. Students will convert metric to metric liquid volume, convert imperial liquid volume, and identify the appropriate unit of measurement. Students will convert metric to metric mass and identify the appropriate unit of measurement. Students will write multiplication number sentences and apply the Commutative Property, Associative Property and Distributive Property of Multiplication. Students will multiply a 2 digit number and a 1 digit number, as well as, multiply a 3 digit number and a 1 digit number. Students will write division number sentences and write the related multiplication number sentence. Students will solve division problems with remainders and solve long division problems using a mnemonic. Students will divide a whole into unit fractions, compare fractions and identify the bigger fraction, and write whole fractions and improper fractions. Students will identify the numerator and denominator of a fraction, label fractions on a number line, find equivalent fractions, compare fractions using the >, < or = symbol, and add similar fractions and mixed numbers. Students will name different sided polygons, identify right angles in polygons, and identify parallel sides in polygons. Students will find the perimeter of polygons and solve for the length of the missing side(s). Students will identify different 3-dimensional shapes, match the 2-D shape with the corresponding 3-D shape and find 3-D shapes in the real world. Students will identify the faces of a 3-D shape, identify the edges on a 3-D shape, and identify the vertices on a 3-D shape. Students will define the 3 transformations and translate, rotate, and reflect an image. Students will identify the pattern in a number series and find the missing output in a number pattern. Students will recite the mnemonic "My Dear Aunt Sally" and solve problems with a combination of operations in the appropriate order. Students will interpret data in a tally chart and interpret data in a pictograph. Students will interpret data in a bar graph and interpret data in a line plot. Students will calculate the probability of an event. Interests: I am a language enthusiast and love to travel to different countries. I have over 10 years of experience teaching children from Kindergarten through the 10th grade! I have taught in a classroom setting, given one-on-one individual instruction, and currently teach online to an international community.